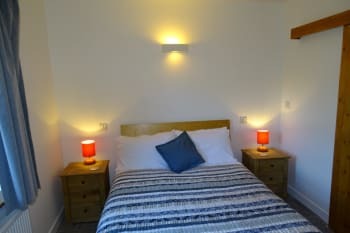 Relax in our warm, clean, extremely comfortable and well equipped stone cottages with everything needed to make a perfect holiday all year round. Idyllic location in village of Parkend which is surrounded by beautiful forest and home to RSPB Nagshead, the steam trains at Dean Forest Railway, two pubs and a village shop. Perfect for cycling, walking, birdwatching and exploring the Forest of Dean, Wye Valley and Wales. 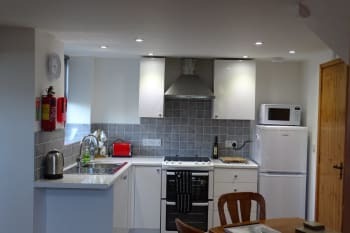 These self-catering cottages have been sympathetically renovated to a high standard by the owners who live in Castlemain Mill on the same site. Castlerag and Horse Gin are converted from workshops/stables and are among the earliest buildings in Parkend. They are named after old coal mines in the immediate vicinity as the main house was previously the offices of the Parkend Deep Navigation Collieries Ltd. Secure cycle storage for each cottage so bring your bike to explore the many cycle trails around and the Verderer's or Freeminer trails are only a 15 mins warm up ride away. There are no rooms available at Castlemain Mill Holiday Cottages for these dates. The property adjoins a main road and there is some traffic noise especially during the morning rush. Lovely Forest location. 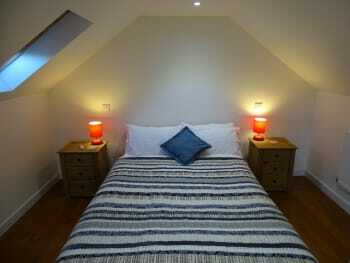 The cottages are beautifully-renovated, clean and high quality. Tony and Elaine, the on-site owners, could not be more friendly and helpful. We re planning to come back in June/July. What a find! Great Forest walks, especially to The Rising Sun and The Miners Arms. The Woodman is an excellent pub, serving great food and The Fountain is also definitely worth a visit. We re planning to take a ride on the steam train from Parkend station when we return in the summer. Lovely meal at the Fountain in the village. The bacon rolls at the village Post Office cafe are amazing. Great area for cycling and walking. Our cottage was well equipped and immaculately clean with many thoughtful touches - homemade muffins, biscuits and jam were lovely surprises together with the promised milk, tea, coffee, sugar and other grocery necessities. 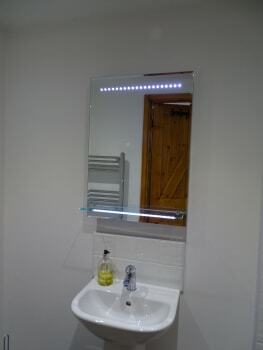 Heating of rooms and water was first class, helpful hosts also respected our privacy. We had wonderful meals at the Woodman and Fountain Inns as well as takeaway fish and chips at Frydays in Bream - all generous proportions and delicious. So many things to do locally and a great drive to Hay-on-Wye for booklovers! Lots of lovely woodland walks straight from Cadtlemain. Abundant birdlife. We received a warm welcome from Elaine and Tony on our arrival and they were most helpful and kind throughout our stay.They are very knowledgeable about the local area and its history, with lots of information available at the cottage. We enjoyed an excellent meal at the Woodman Inn, but make sure you book! The location allows you to explore the forest on foot or bike directly from the cottage. Gloucester Cathedral is certainly worth a visit with free voluntary guides who will tailor the tour as required. Beautiful cottage, very cosy and clean. Elaine and her husband were really helpful and friendly. Nothing was too much trouble. I would highly recommend these cottages. Lovely, warm welcome from Elaine & Tony, with tasty home made treats to greet us. Great hosts with that perfect balance of a helpful but discrete presence. This is the perfect location for mountain biking/ walking & exploring the forest. Local shop/ cafe/ pub all super friendly & within walking distance. Fantastic cottage, with everything you need. The treats left in the cottage were lovely especially the cakes. Elaine & Tony were excellent in their advice of places to visit and eat. Also Izzy the golden retriever made our holiday perfect. We appreciated the large,enclosed garden for our dog who can be a bit of an escapologist. Loved our stay at Castlemaine it’s really is home from home to us and our hosts could not me more accommodating. We will return. Both the village pubs are good for food and provide varied ambiance one being very traditional the other more modern in style. Both offer a warm welcome and not to be missed is the small but quaint coffee stop at the local village post office/provisions store. On both our last two stays we have been treated to a nostalgic day with the Forest of Dean steam railway which is a short walk from Castlemaine. Excellent cottage and marvellous value for money. Elaine and Tony were very helpful friendly and considerate. There is a lot of attention to detail to make your stay comfortable and the welcome pack was a real bonus.This is a wonderful location with wildlife all around you and easy access to some great walks. We loved Izzie coming in to say hello each day and she is a really calming influence. We would not stay anywhere else in the forest. The Fountain Inn was really welcoming and we soon got chatting to the regulars.The beer was good and we had an excellent Sunday roast there.The Woodman's definitely focussed on visitors, and whilst the food was excellent, the beer was average but there was a local cider on tap which we did not try because it was sweet. An easy walk away is the Rising Sun and we included this in a walk to Mallard Pike. Recommend Monmouth Tintern Abbey and Symonds Yat as a day out in the glorious Wye Valley.With an early start you can get to Chepstow as well.Beware of shortest routes some roads are interesting if you are not used to single track roads and steep gradients. Dean Forest Railway was disappointing running a diesel. We were sold a day rover but the service was so poor we could not benefit from it. If you have children the minature railway at Perrygrove or the Museum at Coleford are a better prospect. The cottage had everything we needed to make us feel at home. Lovely welcome pack and selection of games on offer. We did have a small spider family who also wanted to share the bathroom! Great BBQ and outdoor area. Lovely walk down to the local pubs. Very friendly reception, and helpful throughout with great local knowledge. Great beer gardens at both the Fountain Inn and Woodman and we had a nice meal at the Woodman. Lovely walks and views over at Symonds Yat. 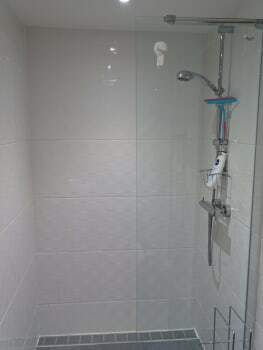 Clean, very well equipped, nothing missed. Even has a slow cooker! All basics such as tea, coffee, milk, condiments supplied. Attention to detail regarding what you may need is available. Outdoor area includes BBQ's and coals, utensils etc. I have self catered for many years, the thought put into the cottage is second to none! Pubs on the doorstep providing good food. Two cafes and a shop providing more than the average groceries etc. Takeaway delivery available. Supermarkets within a short drive. The information packs and leaflets regarding the local area are readily available. Woodland and river walks on your doorstep, literally. Perfect location. Friendly, warm welcome which continued throughout our stay. The "goodies" in the kitchen were delightful. The whole stay although short was amazing. We would certainly return again. It was good to have an area of garden with provision for us to sit out and view wildlife, especially birds. Gentle friendly dog. For those interested in the history of the Forest of Dean the Forest of Dean Heritage Centre is worth a visit. 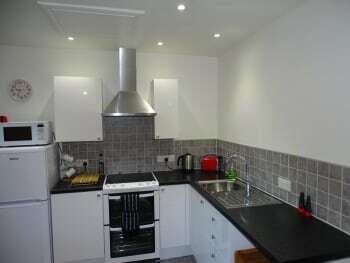 An attractive cottage very well equipped as regards kitchen equipment and consumables, books and tourist information. I particularly appreciated Elaine's delicious home baking and the interesting book on the history of Parkend. The garden furniture was ideal for al fresco relaxation on warm sunny evenings. Elaine and Tony were very welcoming and always available to provide assistance and information. There are plenty of easy forest walks in the area. Bring an Ordnance Survey 1:25000 map OL14 with you - the map in the cottage is mounted on the wall and so for reference only. Our second stay at Castlemain, took friends with us and they loved it too. We will be returning again for sure. Tony and Elaine are fabulous hosts in a beautiful setting. BBQ & Chiminea are perfect ways to enjoy an evening sat outside. They think of everything to make your stay a reall treat. Can't recommend enough. Fantastic stay all of us enjoyed ourselves. The cottage was lovely and clean. Really enjoyed the muffins shortbread and the other home made products. We enjoyed playing the games provided in the cottage. Have already recommended you to my work friends and family. Hope to stay with you again. We didn’t venture away from the cottage much as the forest behind the cottage kept us entertained looking for deer and boar. Lovely well equipped cottage, we enjoyed all the goodies, lemon drizzle muffins, biscuits and plum jam. Beautiful drive down the Wye Valley, the bluebells were just coming out. Lots of different walks to do, we always visit the stained glass which hangs in the trees, near the Speech House. Have stayed here 4 times now and back in October. Brilliant Tony & Elaine make you more than welcome and are always helpful. Woodman pub recently reopened, good food but still needs TLC as can be a little noisey! Dog Friendly Rising Sun good food. Dog friendly. Dean Forest Cycles.Coffee, Cake etc. Dog Friendy. Heritage Railway rides 2 minute walk. Family Cycle ride trail nearby. Post office/shop 2 minute walk. Elaine and Tony are exemplary hosts. Our fourth visit was as great as the previous three. The Horse Gig was so cosy in the snow. Walk, or cycle, the old railway lines to Coleford or Cannop. The Fountain Inn serves good pub meals. Thanks for another fantastic review. It was amazing that you had to postpone your trip because of 'The beast from the East' only to get snow again two weeks later while you were staying in the forest. It really is a special location when there is snow. We had a very pleasant stay. Elaine and Tony were very helpful, and the welcome pack that was waiting for us when we arrived was very much appreciated after a long journey. If we return to the area then I will certainly book the cottage again. We were only in the area for a short stay and for a specific event. There were many nice walks; however, we weren't in the area long enough to appreciate them all. We really enjoyed our stay and Elaine and Tony were excellent hosts. It gave us that Home to Home feeling. Fully recommend this venue especially if you have active intentions great walks and bike rides await. Faultless + Flawless = Fantastic Great property for families. couples and friends. The accommodation is ideally located to access the Cannop Cycle Centre, Symonds Yat, Monmouth, various walking trails and more obscure trails for both walkers and cyclists. To put it simply, the owners could not be more polite and helpful! And I am about to book another stay. The cottage was lovely and welcoming, with delicious homemade jam and biscuits. Thank you for making us feel so welcome. Brilliant location, can cycle straight from the door to the cycle centre, mostly off road. There is a short section of road, our 5 and 7 year olds safely cycled on the pavement next to it. The kids loved puzzlewood and clearwell caves, both of which are nearby. 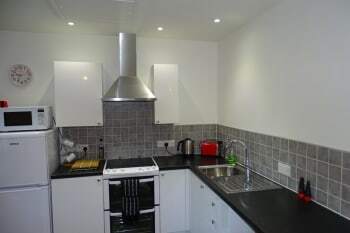 Lots of choice for eating out nearby, or kitchen is well equipped if self catering is preferred. Another fantastic stay in Horse Gin, thank you for making us feel so welcome. The welcome jam, cakes and shortbread were delicious and are a very kind touch. We love the bright and airy feel that you get in Horse Gin due to the large window and mezzanine. Our 3 year old loved being able to enjoy the shared garden and liked trying to give Izzy cuddles! We really like that you can cycle from the cottages to the Cannop cycle centre, entirely off road apart from through Parkend. The cycle centre has great Mountain Bike trails and a good cafe. We also experienced the steam railway journey from Parkend, our 3 year old thoroughly enjoyed the journey. Fantastic all round - many thanks! Welcoming, friendly, very helpful. We had all we needed for a short stay. Very welcoming, helpful and sociable. The Fountain Inn we considered the best public house within walking distance. Chepstow and Symonds Yat are worth a visit. Further afield The Brecon Beacons is a must. This cottages is highly recommended.It is ideally situated and the owners who are close at hand are most helpful. We certainly hope to return next year. 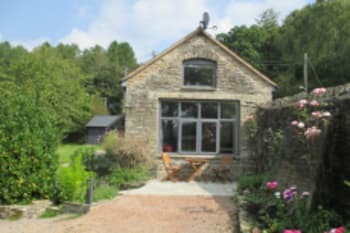 Parkend is an excellent centre to explore the Forest of Dean.The situation of the cottage enables good walks strait from the door. Two good pubs in the village and a good shop and post off, all with in a few minutes walk. Another great stay. Just like home from home. Elaine & Tony are so friendly & helpful with lots of advice about the local area. The Woodman Inn does fantastic food but you do need to book during busy times. A lovely place to go for peace and quiet and walks in the forest. Everything provided for a great holiday with plenty to do around the area. Tony and Elaine were amazing hosts. Would definitely go again. Take a half hour drive to Chepstow, visit the castle and museum, pop in the charity shops and walk by the river Wye. Take a steam train to Lydney and walk to Lydney docks and then back into the town. Absolutely fantastic,beatiful location . The cottage was beautiful and had everything in it From every sort of cooking utensils to games and books for kids.We took our 15 year old son an he really enjoyed it. There is a fantastic bbq to use under cover. Washing machine tumble dryer and drying room. We took our dogs they had the run of the garden as it is all enclosed.loved it can't wait to go back. A very nice and well equipped cottage. The welcome package was a nice touch with lots of information about the local area and things to do. Very close to the steam rail station which is a great way to get about. Extremely friendly,helpful and knowledgeable about the area. 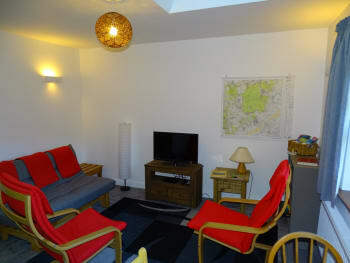 The information provided in the accommodation about the area and attractions was very good and the little touches like homemade cakes and biscuits on arrival made a lovely welcome. Friendly, welcoming hosts, home made cakes, biscuits and jam in accommodation on arrival. Kitchen cupboard stocked with basics such as tea, coffee, herbs, condiments, cooking oil etc and there was milk in the fridge. 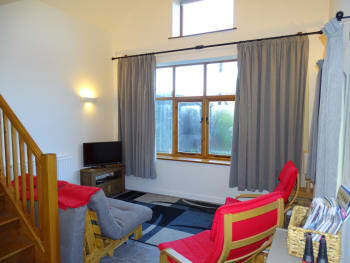 The cottage is well equipped and comfortable, with plenty of information about local attractions and walks. Lots of great walks in the area, we like the Sculpture Trail and Woorgreens Nature Reserve. Puzzlewood is a popular film and TV location, with over a mile of footpaths through ravines of moss covered rocks. Further afield, Hay on Wye is a must for book lovers with lots of second-hand bookshops. The Three Choirs Vineyard near Newent offers wine tasting and vineyard tours. Elaine and Tony went above and beyond the call of duty to make our stay excellent -- they picked us up from the train station, they got us to a pharmacy when we realised we forgot our son's asthma inhaler, they even agreed to take a couple of clothing items to a charity shop for us! The muffins were delicious and the friendly, relaxed atmosphere was great. They are also knowledgable and encouraging about all the local activities. The bikes at Dean Forest Cycles were very good, we had them for three days and kept them in the shed at Castlemain. Fantastic stay, lovely cottage. Everything was perfect and the owners were very helpful, friendly and made sure all needs were met. Thank you for a perfect stay. We will be back! Many thanks for a great review. It was lovely to see you all again. Elaine and Tony. Many thanks for a fantastic review and it was great meeting you. We are pleased you enjoyed your stay in the Forest of Dean and loved staying at Castlemain. Your tips for future guests are very useful and although there is no mobile signal we are happy to pass on any messages from our landline. Elaine and Tony. The Forest of Dean and Wye Valley has so much to offer and Parkend a great place to base yourself. Super cycle routes from the village through the forest. The River Wye a short drive away for walking, cycling & kayaking. Many thanks for a fantastic review. We were so pleased you tried out all the facilities and even got to watch the nesting swallows while sitting around the chimnea. We look forward to seeing you again soon. Elaine and Tony. Our second stay and we will be back again. 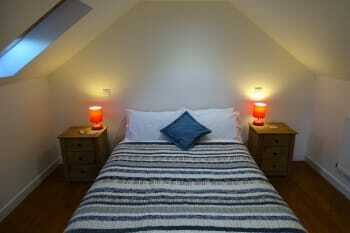 Accommodation is lovely, clean and fresh and in a perfect location to explore the area. The hosts are very helpful and ensure you have everything you need for your stay. We ate at both the Woodman (you need to book as it gets full) and The Fountain and both meals were excellent. Loved going to the mountain-biking centre which is an easy 3.5 mile cycle from the accommodation. 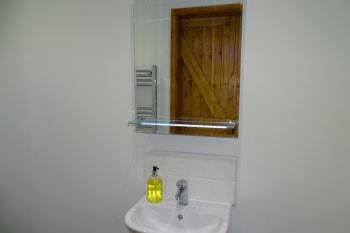 Lovely cottage, great location and facilities. Really friendly and helpful owners. Good pubs nearby, great cycle trails straight from the cottage, dog friendly. Go Ape close by and Cannop trail centre. Perfect getaway with a warm welcome. Perfect for mountain biking with trails right on the doorstep. My 8 year old daughter really didn't want to leave and it suited me well to reassure her that we would be back soon ! Extremely friendly and helpful owners.Cottage had everything you needed and even had welcome cakes and biscuits and jam which was a lovely touch. Only had a short weekend there but felt like we had had longer. Would think the area is stunning in the summertime! Both pubs in Parkend were very welcoming to us and our dog. Only ate at the Woodman but the food was very good and very generous portions! Symonds Yat was a great afternoon out, even though we didn't get to go on the rope ferry because it was closed as the current was too strong.We did the walk down from the viewpoint which was steep so beware the walk back....was hard work! Couldn't have asked for any more from the accommodation, comfortable with all upto date facilities and a welcome from the owners which was like visiting old friends, we were made to feel extremely welcome, was a pity to go home. We particularly appreciated the extra Christmas decos, lights and small edible (and drinkable) gifts that greeted us on arrival. Also the fact that the heating had been put on so the 2 houses we rented were cosy and warm from the start of our visit. Try the sculpture trail - it has something for everyone. Also don't miss the chance to catch a great view from the New Fancy viewpoint. Thanks for a great review. We are pleased you enjoyed your hamper of our home made Christmas goodies and that the decorations etc helped to make it a special Christmas in the forest. Elaine and Tony. Lovely little cottage in great location. Owners very helpful. The cottage was very cosy with a lot of thoughtful touches. The owners were very friendly and helpful and we were made to feel very welcome. We would definitely go back. Excellent base for exploring the Forest of Dean on foot or cycling. Castlerag was a very nice place to return to after a days walking. Elaine and Tony were very friendly and welcoming. Take OS map OL14 and there are walks in every direction. The viewpoint at New Fancy is worth a visit as are Cannop ponds and the Sculpture trail. The Speech House is a great watering hole to aim for on a walk. The Fountain does good evening meals. Beautiful location in Forest of Dean. 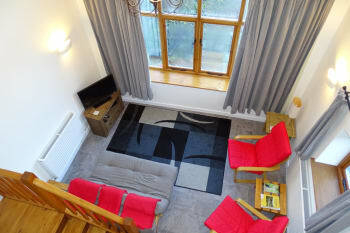 Accommodation is beautifully presented and everything you could need is provided. Nice touches on arrival, homemade cakes, milk and tea bags/coffee! many lovely walks on the doorstep. 2 pubs and a lovely post office/shop/cafe serving fab homemade soup. 3rd stay with Tony and Elaine. One of the best accommodation we have stayed at. Dog friendly and good area for cycling with family trails available nearby. Had loan of bike tony's bike while there and took me round the trail nearby. Well equipped and comfortable. Nothing to much trouble from them both although I will have to stop eating Elaine's cakes LOL Already booked for next year. Woodman Pub less than 10 mins walk for Good food and Dog Friendly. Take a torch for walk back at night! WiFi Dean Forest Cycles Dog Friendly and good coffee and cakes etc. Wifi Tesco Supermarket and Main line Railway Station at Lydney (Free car park but does get full) Take your own bikes as lock up at Cottages. Only minus point No Mobile signal at Parkend which could be a blessing for some! Very, very welcoming. Elaine went beyond to make us feel settled and her local knowledge was invaluable for food, taxis and road travel! Felt like a home from home. Everything was thought of and there were lovely extra touches that really made the stay. This was our second visit, and still great. Hosts friendly, flexible and accommodating. Walks and cycle routes on the doorstep. Bikes can be hired in Parkend - no need to go to the cycle centre at Cannop. Good food at The Fountain. We received a warm welcome from Elaine and Tony, and the cottage was ideal for our purposes. 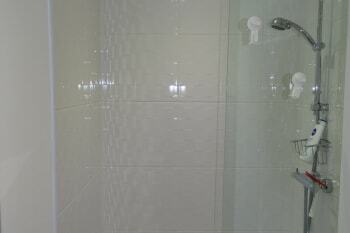 Modern, clean, well-equipped and with all facilities that we required, it made for a superb holiday. It is set in a lovely part of the Forest with great walks direct from the gate. Parkend is also just about in the centre of the Forest of Dean, so most of the sights of the area are within just a short drive. Thank you Elaine, Tony and the beautiful Izzy for making our stay so wonderful. We had the most relaxing time. You provide so many fab extras like oil and milk, amongst many other bits and pieces. And the homemade shortbread and plum jam was delicious. 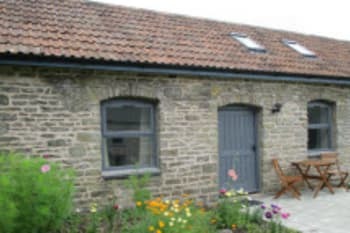 The cottage is lovely and all the reviews are right, it is the most comfortable bed ever! You're both so friendly and welcoming, and the scenery is amazing. We hope to come back soon! Everything about this holiday was easy - from the booking to the information we received in emails ahead of our stay to the tips from our hosts while we there. The cottage was equipped with everything we needed, plus a few extra goodies made by our hosts. We had a really great time here and wouldn't hesitate to recommend the cottage for a relaxing getaway. We enjoyed meals at the local pubs (a very short walk away) and hired bikes from Dean Cycle Hire, also a short walk away. Plenty of walks nearby and a drive around the area is worth it - the scenery is beautiful! Loved everything about our stay..great location, great facilities and owners were fabulous hosts. 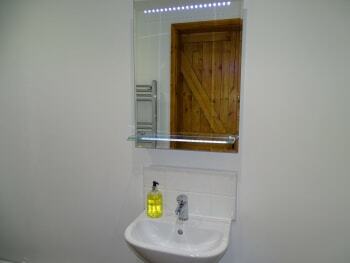 A lovely balance with making sure everything was OK to giving the privacy you need. Will 100% return for another stay. Even allowed us to take our 2 dogs which is a constant headache when looking for similar holiday cottages...really feels like a home from home! On arrival there was a welcome pack not just the basics milk and coffee but wee treats, very thoughtful. Owner was helpful and friendly and approachable and would help out where she could. There was everything you could think of to get started. They new the local area and were never short of ideas. 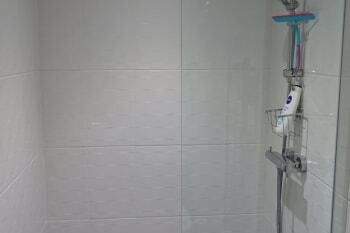 Take a bath robe. Must have a car or a bike to enjoy the area, plenty nice places to see not too far from the cottage. Lots of places to eat. We received a lovely welcome from Elaine and Tony. They are excellent hosts and can't do enough for you. The cottage was comfortable and snug. We enjoyed the railway, walks in the forest, Tinterne Abbey, Symonds Yat. We only had a few days but there are many places to visit in the immediate area. If you want to travel a little further Ledbury is a charming historic town with Eastnor Castle a couple of miles away. An interesting house with lovely grounds and very dog friendly. The Woodman's Arms in Parkend is great for food and service. Lovely location. Hosts are very friendly and most helpful. Elaine welcomes her guests with a home made treat from her kitchen which is much appreciated after a long journey. The accommation is excellent. Just sorry we could not stay longer. Loved the blackberry picking. Good place for walking, bike riding etc. or just having a quite restful break. The local pubs serve excellent meals and the company there is good to. Our second stay at the cottage this year and surely not the last. Its a lovely cottage and beautiful surroundings. Tony and Elaine are very welcoming and helpfull. We wish we could have stayed longer. From start to finish we couldn't fault the property or the owner's, biscuits and jam awaiting you when you arrived as well as everything you needed to make tea/coffee while you unpacked and made plans. Helpful advice about the area and what to do with your day. Great location, great facilities. Such a lovely setting and the owners couldn't have been more helpful and friendly. 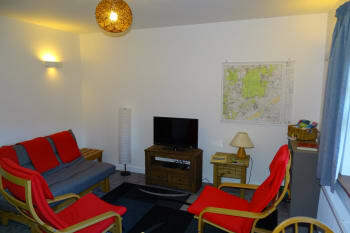 A little gem, great value, clean and comfortable accommodation in a great area to get out and about. Will definitely be ret. Plenty of eating options within easy distance, lots for kids (and big kids) to do. This was the first time we had stayed in a cottage and they were amazing. They made us feel so welcome, they adviced us on where to take the dog and where to eat. Nothing was too much trouble for them. I can't wait to go back, we had a lovely stay which my sister brought for me after she had stayed. Cottage was really nice, had a great stay. Owners were very welcoming and helpful with information. Absolutely fabulous, could not be more welcoming and the owners have thought of everything to make your stay stress free. The small touches like the homemade jam, bicuits .. even a dog treat for our dog made us feel that we were fully accommodated. Take your bikes. Plan your visit before you leave each day as there is no or limited wifi availability in the Forrst of Dean. Lovely cottages, very well equipped in a beautiful location,owners are brilliant can't do enough for you,would highly recommend to anyone. Lovely forest walks, pubs nearby to eat, and places to visit only a short drive away. Elaine and Tony have a fantastic place, we only scratched the surface of what the area offers, and wished we'd booked two weeks. We'll be back next year. All the little touches make you feel at home. The Woodman serves excellent food, the area has a lot to offer. 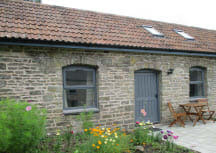 Excellent cottages, equipped with absolutely everything you may need, whatever the weather. Set in beautiful fully enclosed surroundings, and so peaceful. The owners are on hand should you need any help or advice - we would definitely stay again, and wouldn't hesitate to recommend visiting to anyone else that is looking for a relaxing break in a stunning part if the country. A lovely 30 minute walk through the forest ending up at The Rising Sun for a pub lunch. A trip on the Steam Train from Park End to Lydney with stops along the way. A visit to Lydney Harbour with lovely views of the estuary across to the Severn Bridge. A chilled afternoon pint or two sitting outside at The Woodman in Park End. Sightings of the wild boar (lots of them !). Excellent accommodation the cottage had everything you wanted just like a home from home. The cakes biscuits and jam on arrival were a really lovely touch. There was even a biscuit for your dog. Hosts were very welcoming and very friendly. Would recommend this stay to anybody wishing to walk in the Forest of Dean. Definitely the best self catering accommodation we have stayed at. If you are keen on walking this is an absolutely amazing place. And the dog will love it too. A lovely cottage in a fabulous location. The owners Elaine & Tony were incredibly welcoming and helpful with information about the local area and things to see and do.The cottage was very comfortable with everything needed of our stay. So much to see and do in the Forest of Dean and the cottage is perfectly located in that places of interest are only a short drive away. We visited Puzzlewood, Symonds Yat, Clearwell Caves and Beechenhurst Lodge and thoroughly enjoyed each of them. We had dinner at the Rising Sun, which was a short walk from the cottage but worth it for the good food! What a pleasant place to lay your weary head after a torturous journey from Frinton - on - sea. Wish I could have stayed for 2 weeks rather than 2 days. No wild boar siting on this trip but the local PO and cafe sell wild boar sausages. Maybe next time. Try the friendly cafe /PO on the main road. Excellent in every way.The cottage is stocked with everything you would need and more for your holiday. We had a wonderful family time here. The hosts are happy to meet your every need. The Butterfly Zoo is amazing. On site there is also amaze, crazy golf and laser. A lovely day out and very reasonably price. Had a great time. Elaine and Toby were super helpful and attentive, but also left us to it - they hit the right balance! 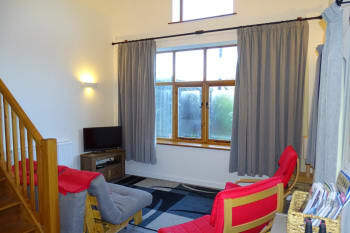 The cottage was lovely comfortable and homely Their knowledge of surrounding area and activities was great. Enjoy the surroundings and take advantage of the BBQ. It's under cover so go for it even if it's raining! Lovely cakes, great running tips! Great local pubs, lovely food, plenty of walking, running, bike trails for the outdoor type, lots of places of interest near bye. Elaine and Tony are excellent hosts who make you feel very welcome as soon as you arrive. After your journey it's lovely to arrive to homemade cakes biscuits jam even milk and water in the fridge. 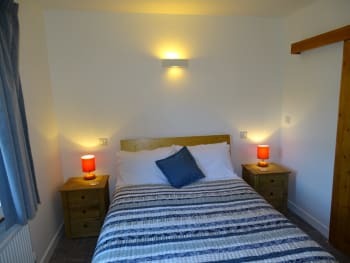 The cottages are to a high standard with everything you could need they are very warm and cosy. Great for families in a lovely location. If you want to relax and switch off from city life this is definitely the place to go. Izzy the dog is gorgeous and our girls adored her. We can't wait to visit again. The cross Inn aylburton excellent food very welcoming for families. Yat rock is a must the walk down to symonds Yat is great fun for kids although a steep walk back. Many thanks for a super review. It was good that you could visit the places you planned to even though the weather wasn't too good. Izzy loved her cuddles and misses the girls. We hope to see you again soon. Elaine and Tony. Our second visit to Castlemain Mill cottages, and it lived up to expectation. The home made cakes, cookies and Blaisdon Plum jam are a lovely welcoming touch. There was milk in the fridge, and tea, coffee, hot chocolate, oil, sauces etc in the cupboard. Elaine and Tony are excellent hosts and always helpful. Plenty of good walks in the area (books available in the cottage). Our particular favourites are, Bradley Hill in springtime for the spectacular bluebell woods, the stained glass window on the Sculpture Trail near the Speech House hotel and the circular walk from The Old Station Tintern along the bank of the River Wye. Good train service from Lydney to Cardiff or Cheltenham, for a day out without taking the car. Great hospitality, loved the dog and the peace and quiet. Our third visit to Castlemain and this will not be our last. The weather wasn't brilliant but the cottage was warm, cosy and as well equipped as ever. Nothing is too much trouble for Elaine and Tony. We had forgotten our flask and telescope, both which they provided for us. The garden is coming on and we look forward to using the outside furniture next time! Our 18th visit to the area but we found three walks, two straight from the cottage, which we had not done before. The book provided is very good for off the beaten track walks. Tony is also a mine of local information for walks and bike rides. The industrial history of the Forest is well worth exploring. Fantastic location-brilliant cycle tracks straight from the house. Beautiful area. There's a secure shed to lock bikes in and a hose to wash them off after a muddy ride! 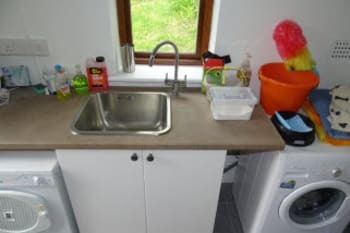 The cottage was spotlessly clean and very well equipped. Essentials were provided such as sugar, tea bags, olive oil etc and some delicious little homemade cakes/biscuits. The owners were very helpful and friendly. We had a lovely weekend, Thank you! We ate at The Bell in Skenfrith-about 20 mins drive. Exxcellent food! We thoroughly enjoyed our stay in Horse Gin cottage. The cottage was extremely comfortable and a home form home. The homemade jam, cupcakes and shortbread were a grateful welcome, our girls thoroughly enjoyed them. 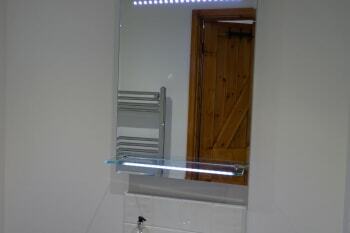 The cottage has been cleaned, decorated and is set to a very high standard throughout. 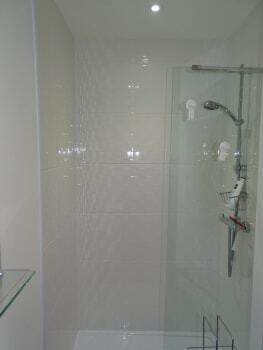 Elaine and Tony were extremely kind and helpful, making our stay very relaxed and stress free. We visited the Perrygrove Railway Treetop Adventures - our girls 3&6 thoroughly enjoyed themselves - wear wellies if it has been raining. Place to have a picnic. Lovely walk through the woods to The Rising Sun Inn - very welcoming and friendly pub. We enjoyed walking down to Parkend village - girls enjoyed walking over the bridge by the railway, finding sheep and exploring the area. We had an excellent stay here, the location is perfect and the attention to detail was spot on. We will definitely return! Fantastic hosts who are very knowledgeable about the area and make you feel incredibly welcome. The cottages are both delightful in their own ways. Our 18 month old son loved being able to walk and play in the terraced garden and enjoyed petting the very patient dog - Izzy! Overall a perfect location for a family holiday, mountain biking and walking straight from the cottages. Lots of great mountain biking and walking in the forest and surrounding area. Rising Sun pub is great for beer and food and is family friendly. Symonds Yat Rock is a good spot for a view and walks under it, and there is a pub (Saracens Head) that does good food at the foot of the Rock. Many family attractions in the area generally. Tony and Elaine were extremely friendly and welcoming hosts and couldn't do enough for us. The level of service even extended to home baked hot cross buns for the easter weekend! They had excellent knowledge of the local area including activities and things to do and were more than happy to offer suggestions and maps for our temporary use. The location of the cottages (Parkend) was also excellent, surrounded by Forest tracks and conveniently close to the local bike hire centre, RSPB Nagshead and the local steam railway if the mood takes. There was also an excellent cafe in the village. Hire bikes in the village and go on a ride. If you are feeling adventurous, take the off-road track up to the Cannop Cycle Centre and have a crack at the downhill Verderers Trail. Alternatively there is the family cycle trail which is a 12 mile loop clockwise through the forest. There are plenty of local walking opportunities and if you are lucky you may stumble across Wild Boar. In terms of sightseeing both Tintern Abbey and Symonds Yat are about a 25 minute drive away and Goodrich Castle is 20 mins. On rainy days its about 40 mins into Bristol which is a vibrant interesting city to visit. My stay was a pleasure due to the very friendly landlady and landlord and the comfortable and beautiful house. I'd like to come again here! Excellent accommodation. Everything you need for a comfortable stay is provided and of the highest standard. Great hosts who are very welcoming and helpful. Looking forward to a return visit! Try the Woodman pub for an excellent meal. A trip on the railway is worth it and their cafe at Norchard provides a lovely lunch. This was our second visit. The cottage is warm,welcoming and clean. Everything you need is provided and if its not, Elaine will find it for you! Tony and Elaine are wonderful hosts and Elaine's homemade cake and biscuits are delicious. 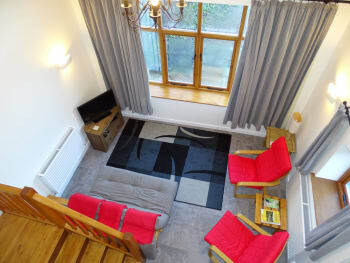 The cottages are set in pretty gardens and there is outdoor furniture and a BBQ for the summer months. We are very familiar with the Forest of Dean but for first time visitors, Tony is very knowledagble. The area is wonderful for walking and cycling, many walks accessible right from the doorstep. There are two pubs in Parkend serving food,both in walking distance of Castlemain. The Wye Valley is on the doorstep and the beautiful county of Monmouthshire. Thanks for another fantastic review. It is great that you like staying in our cottages and find the area around Parkend so welcoming. We look forward to seeing you again in April. Elaine and Tony. Made to feel very welcome and comfortable from the moment we arrived... Was given lots of useful advice and directions regarding local aminites(the forest and mtb trails!) We had no need to use the car to get in the forest- it was literally out of the gates and we could whizz to the cycle centre and the mtb trails in 10minites on the bikes! Everything was there from a hose to wash our bikes off with to a towel to dry our dog! Marvellous accommodation set right next to the forest. Fabulous for the dogs - not only did they have the forest but also had the grounds to run around in. The hosts were amazing and made sure that our stay was perfect. Lots of pubs around that you could walk through the forest to get to. All this and the cottage was a reasonable price. Thank you! Lovely cottage and great hosts! Great base to explore the outdoors on foot or by bike. Lots of local pubs with nice food and beer selection. Great accommodation in a stunning location, with the beautiful Forest of Dean literally on your door step. Elaine and Tony were always on hand to help. Eg to organize Internet, to work the washing machine or anything you couldn't work out yourself. Nothing was too much trouble for them. The cottages have been well designed and furnished. Everything is there to make a smooth, comfortable and happy stay. The bed is one of the cosiest I've ever slept in.....a job to get out of it in the mornings! Elaine and Tony's knowledge of the area was a great help for walking and cycling. For a tiny village there is a lot going on. The food was excellent at The Woodman just a few minutes walk. A lovely walk through the woods brings you to The Rising Sun pub at Mosely Green where you find food and good beer.This is great for children and dogs (although you do have to be careful of the open pond!) There is village cricket in the summer. There are so many walks and cycle tracks the choice is difficult. And much more. A wonderful place for outdoorsy people! Thank you for your fantastic review. We have loved having you stay at Castlemain Mill on your visits to Parkend, especially with your dog Lizzie on the latest trip. Elaine and Tony. I only put 4 in "location" as our "ideal" would be a flat walk into the middle of Parkend. Everything else about our stay was fab. Couldn't fault the accommo, or our hosts. Taurus Crafts, just west of Lydney, was a new find. Mallards Pike great for an easy flat walk. The Post Office shop is handy, with good opening hours. Too much to see and do on a short visit to the Forest. The beautiful ancient stone house has been changed into a modern, very comfortable and aesthetic apartment offering all facilities needed for both relaxing and stimulating holidays. You'll find there a lot of information about the fascinating Forest of Dean including cycling, walking trips etc. Your landlady and landlord have all respect for their guests and are at the same time as helpful as they can be: friendly, communicative and if you are lucky they might show you some particularity of the area. On your walks through the forest you'll see maybe deer and wild boar. Walking is better than cycling in my opinion, but you have at small Parkend not only a cycle hire but as well a shop, postoffice with money service, coffee shop, restaurants. In the summer a steamRailway! And firs of all the various and impressive natural surroundings. Excellent in every way, and our hosts went above and beyond to ensure we enjoyed our stay. We will definitely return and recommend to others. The accommodation is surprisingly spacious, and very warm and comfortable. We loved it. Our little dog was made exceptionally welcome. Elaine and Tony gave us lots of good recommendations. We ate at the Woodman Inn Parkend and had a lovely walk to the Rising Sun which we loved. We also took the steam train to Lydney Junction and walked to the old harbour which gives stunning views over the Estuary. We visited Symonds Yat on our last day, and left feeling there was loads more to do in the area. Many thanks for the great feedback and we are glad that you enjoyed your stay. We hope to see you again soon. Elaine and Tony.